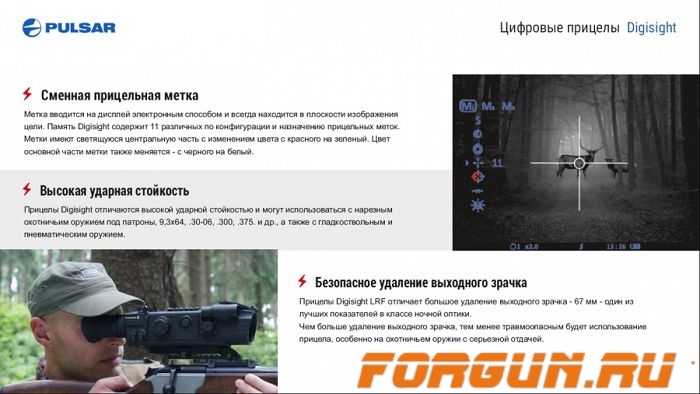 Прицел ночного видения (цифровой) Pulsar Digisight N750UA оснащается лазерным ИК – осветителем (первый класс лазерной безопасности) с трехуровневой регулируемой мощности излучения. ИК - осветитель излучает на длине волны 780 нм и позволяет эффективно использовать прибор в условиях полной темноты для наблюдения удаленных объектов. A reticle is electronically displayed on the screen and is permanently located in the plane of target image. The Digisight's internal memory contains a large number of reticles of various shapes and applications. The central part of the reticles is illuminated, colour can be changed from red to green. The colour of the main part can be switched from black to white. Digisight riflescopes series feature an option which allows selection of three variants of zeroing parameters for various types of weapons or for various distances. The reticle is digitally inputted in the display and is permanently located in the image plane. The coordinate system (horizontal and vertical directions) helps remember zero reticle position for various distances or cartridges and move the reticle exactly to the required area. 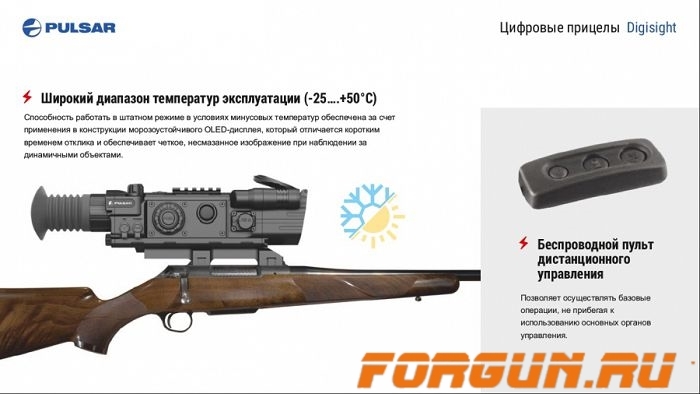 The Digisight riflescopes feature high shock resistance and can be used with rifled hunting weapons for such cartridges as 9.3х64, .30-06, .300, .375. etc, as well as with smooth-bore and airsoft weapons. Digital technology is protected against bright light exposure and can be used during daytime. 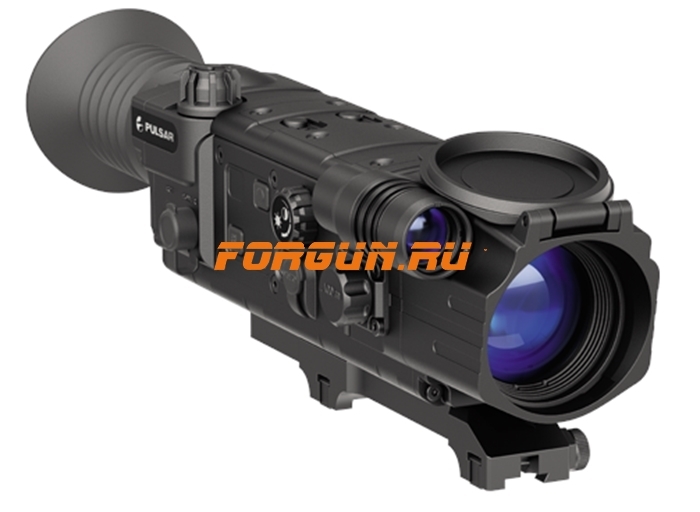 Depending on modification Digisight riflescopes provide more than 500 meter detection distance for object 1.7х0.5 м. in size in low light conditions.